What Does Code P0166 Mean? OBD II fault code P0166 is defined as “Oxygen (02) Sensor Circuit – No Activity Detected (Bank 2 Sensor 3)”, and is set when the PCM (Powertrain Control Module) does not detect a signal voltage from the oxygen sensor. 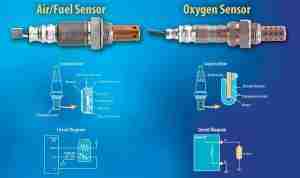 On engines with two cylinder heads, “Bank 2” refers to the bank of cylinders that does not contain cylinder #1, and “Sensor 3” refers to the 2nd oxygen sensor located after (downstream) of the catalytic converter. Note: While there may be a small time lag difference between #1 & 2 sensors, and #1 & 3 sensors where an additional sensor is fitted upstream of the converter, the difference will not be noticeable to anyone who is not an expert in interpreting waveforms. 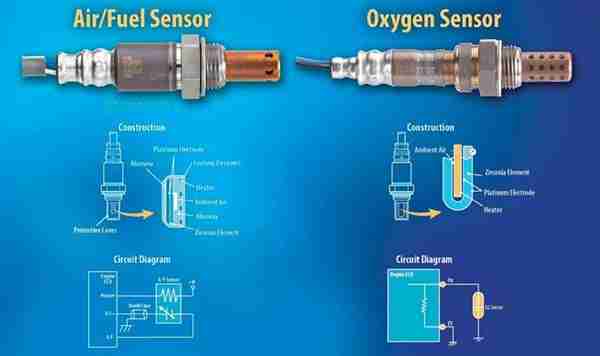 The only important thing to remember here is that the signal voltages of all oxygen sensors change when the throttle setting changes, so “No Activity” means the same thing; there is no signal voltage, or the signal voltage does not change in response to a change in throttle setting, regardless of where an oxygen sensor is located. If the PCM detects that it takes longer than about 60 seconds or so for the sensor element to heat up, or that the signal voltage does not move outside of the 390-, to 490 millivolt range, it will deem the oxygen sensor to be inactive, set code P0166, and trigger the CHECK ENGINE light. Note however that the values given here are guidelines only; consult the manual for the vehicle being worked to get the exact values for that vehicle. What are the common causes of code P0166 ? NOTE: The causes of P0166 are as likely to be caused by aftermarket oil / fuel additives that contain silicone based compounds, and/or internal engine problems as they are likely to be caused by electrical issues in the signal voltage circuit. The panel below illustrates some of the causes of P0166 that are not related to wiring, or other electrical issues. What are the symptoms of code P0166 ? How do you troubleshoot code P0166 ? NOTE #1: Refer to the panel of images in the section on “Causes of code P0166” if electrical issues are not found to be the cause of the code. NOTE #2: Before attempting an electrical diagnosis of code P0166, make sure the engine is in good running condition, and that no vacuum-, or serious exhaust leaks are present that could influence the operation of oxygen sensors. Also, make sure there are no rich-, or lean running conditions, and that the engine oil is not contaminated with antifreeze. If any other codes are present along with P0166, resolve these issues first before trying to diagnose P0166. Since code P0166 indicates a problem in the signal voltage circuit, as opposed to the heater control circuit, pay particular attention to the resistance and continuity values in the signal circuit between the PCM connector and the sensor. These values should match those stated in the manual exactly. NOTE: Since the sensor has a heated element, it is entirely possible that a low battery voltage, poor battery ground, or other continuity issues could affect the time it takes the element to heat up, which is one of the causes that could set code P0166. Follow the testing procedure outlined in the manual to check that full battery voltage reaches the sensor. It goes without saying that the battery voltage/condition must be checked as well; however, in cases where a low battery voltage is present, codes relating to low input voltages on the heater control circuit may be present along with P0166. NOTE: There is little point in replacing the sensor if it shows evidence of oil or antifreeze “poisoning”. In these cases, the underlying problem must be resolved to prevent a continual recurrence of code P0166 and its associated symptoms.